- Seedlings Pots Resin Nursery Plant Pots. 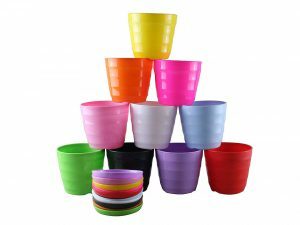 - 4.3" Inch Plastic Pots, 4.1" Inch Height. - Perfect for plant starts, small holes to keep soil drained and ventilated. - Lightweight, durable and colorful,beautify your room,garden and your office.